Friday 19th April was a sad day if you’re a Six Day fan; Denmark’s best-ever Six Day rider, Palle Lykke died in Belgium at 76 years-of-age. Born in Denmark in 1936 Lykke won 21 Six Days between 1958 and 1967 – Aarhus, Amsterdam, Antwerp, Berlin, Bremen, Brussels, Copenhagen, Dortmund, Frankfurt, London, Montreal, Munster and Zürich all fell to the handsome man from Ringe. In addition to his 21 victories he took 20 second places and 32 third places as well as 15 fourth places. 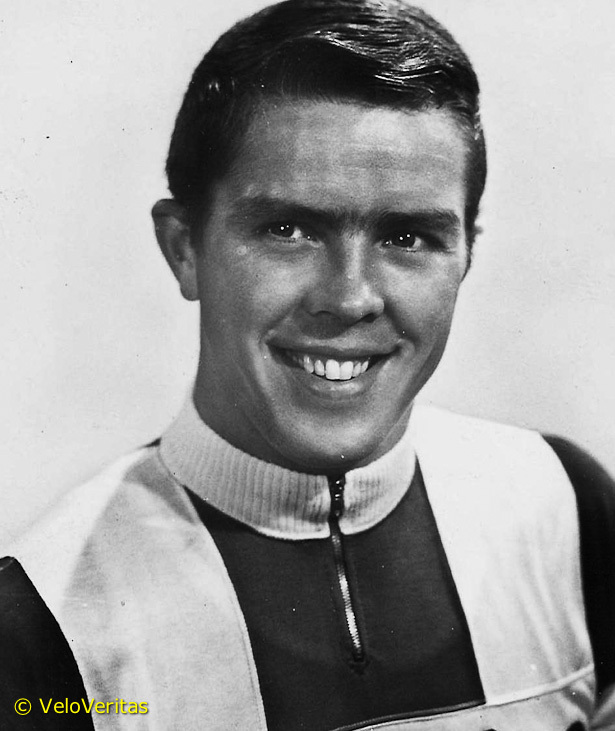 But Lykke wasn’t just a Six Day man; he was four times sprint champion of Denmark, won a European omnium title in 1962 and the European madison title in 1963 with father-in-law, Rik Van Steenbergen. ‘Rik 1’ was not a man to be messed with, on or off the bike and it says much for Lykke that he was able to handle being a regular partner of the harder than nails Belgian. Lykke rode professionally for 12 seasons; Monark, Quelle, Ignis, Solo, Caballero and Willem 11 all appearing on his chest. Despite a demanding winter schedule, Lykke was a good roadman with third in the 1966 Gent-Wevelgem behind Herman Van Springel and won the flat, fast and furious Championship of Flanders in Koolskamp in 1965. VeloVeritas mourns his passing and wishes there were more like him on the winter boards in 2013. Today, the race started at 123 metres above sea level and finished at 1,712 metres above sea level – that’s an elevation of 1,589 metres. The climbing part of the race went on for some 12.5 miles with Quintana’s average speed – but with four/five miles of flat road in there which the 'Bigs' were covering at around 27 mph – an average 16.5 miles per hour. Last finisher was Jeffry Johan Corredor (Colombia & Colombia) @ 18:00 minutes. Enough said, I think? Thanks for checking out my Adam Hansen Blog - I'll be updating it with news, what I'm up to, and where I'm doing it throughout the season. First thing to tell you is that I met up my new Omega-Pharma Lotto teammates for the first time here in Australia, for the Tour Down Under. Stats Catch Up. Possibly the most boring blog post ever coming up. Since the Tour, I’ve been having a relatively quiet time, reboosting the energy reserves, and catching up with the boys who need treatment in Girona as and if they need. And now, on the eve of heading off to the Eneco Tour, I finally get myself into gear to post another blog entry. Quality.